1. From the timesheet form, click Settings. 2. 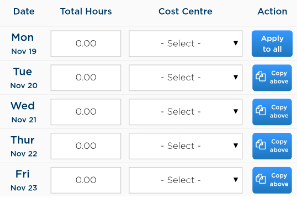 By default, Total Work Hours and Cost Centre are the columns displayed. Tick the checkbox of the column that you want to be shown. 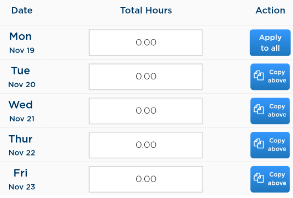 Total Work Hours and Start Time & Finish Time columns are required fields but you can only choose either of the two. 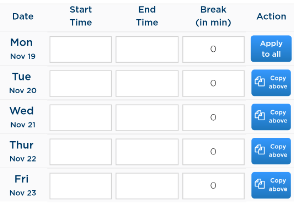 Break (in minutes) column will only be displayed if you have selected Start Time & Finish Time. Any changes made on the settings is automatically saved. Cost Centre column is not a required field and can be hidden.